Home / How to Grill / Grilling Tips and Tricks / Greener Grilling charcoal or propane? While researching this (I am no scientist) article on Greener Grilling. I was very surprised to find that there is no clear-cut winner in the charcoal verses propane environmental impact debate. The good news for grillers is that grills are only responsible for .001% of the greenhouse gasses emitted by the U.S.A. You can still grill with your preference without to much guilt. You can improve your impact on the environment by changing what fuel you cook with. Charcoal releases about twice the co2 that propane does. The pro-charcoal people will point to the fact that this is the same co2 that tree absorbed during its lifetime. This point is now under debate. Briquettes: While all charcoal is made with scrap wood or sawdust. Briquettes are also made with different binders. That means it does not burn as clean as it could. 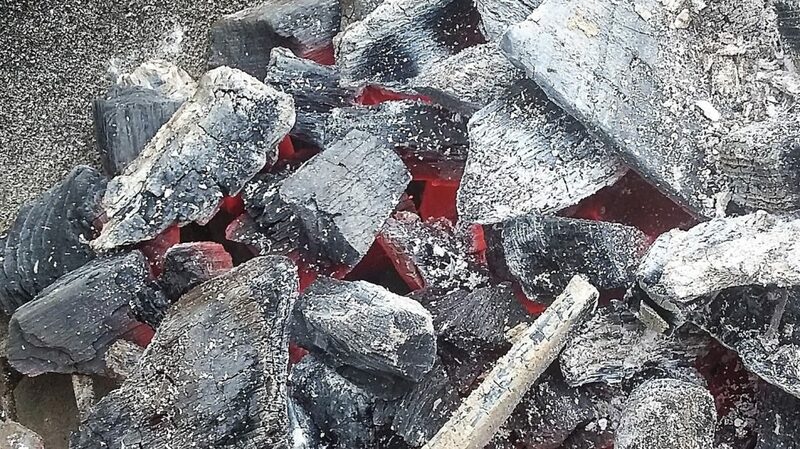 Because charcoal is almost pure carbon, all of its heat comes from converting carbon to carbon dioxide. Natural Lump: While some people consider this carbon neutral they are wrong. Because we need to take into consideration how it is made. All charcoal has to be burned in a low oxygen environment, so most likely natural gas is used. On the grill it burns much cleaner then briquettes. Natural Wood: This is truly carbon neutral. Assuming you are not chopping down a tree specifically for cooking and stick to scrap wood. It also gives your food an excellent smoke flavor. Propane: Is not a renewable resource. 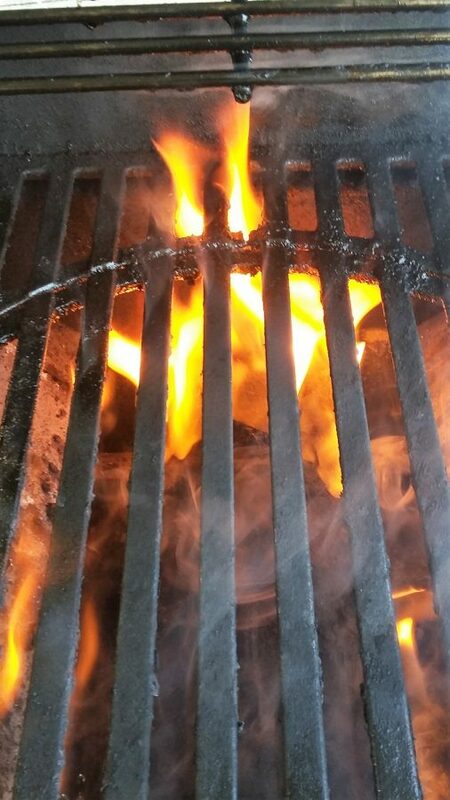 It does only release about half of the CO2 that burning charcoal will. Natural Gas: Burns much cleaner then propane, because it burns hydrogen. 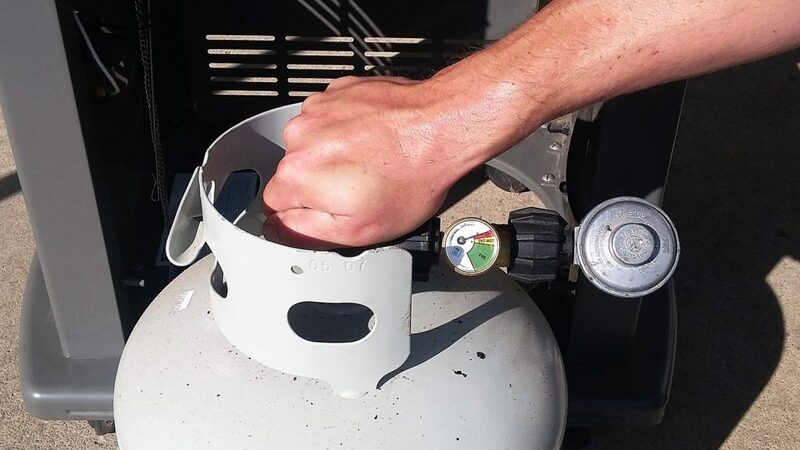 Most grill manufacturers have natural gas conversions for their grills. The only drawback would be getting a plumber to run the gas line. This also means you can not move your grill around. Let’s throw electric grills into this debate. You would have to know where the electricity used comes from. This would be the clear winner of all greener grilling options providingthe energy used came from wind turbines or solar cells. While researching this article on Greener Grilling. I was very surprised to find that there is no clear-cut winner in the charcoal verses propane environmental impact debate.